If you’ve ever taken a creative writing class, you’ve no doubt heard the writing workshop mantra: “Show, don’t tell.” Combine that with the old adage that “a picture is worth a thousand words,” and you’ve got the sweet spot that graphic novels inhabit — a medium that can pair compelling narrative with evocative illustrations can convey nuances of emotion and experience unavailable to words alone. 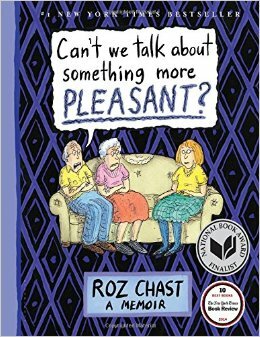 Longtime New Yorker cartoonist Roz Chast’s "Can’t We Talk About Something More Pleasant" is a memoir in which she recounts her experience caring for her elderly parents in their final years. Chast is an only child; although she was close to her father, her mother’s strong personality and lack of warmth dominated their family. Chast’s unflinchingly honest and refreshingly funny portrayal of the complexities of family relationships and the heartbreak and tedium of navigating the golden years is drawn in her characteristic, anxiety-riddled style. 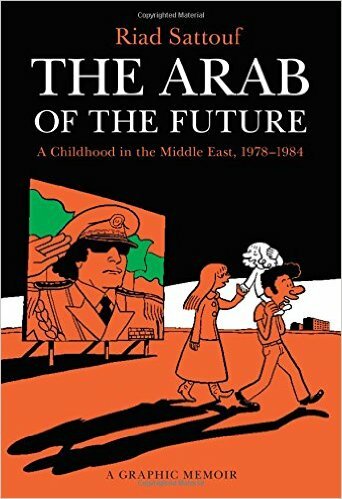 "The Arab of the Future" is former Charlie Hebdo cartoonist Riad Sattouf’s memoir of the childhood years he spent with his French mother and his Syrian father living in France, Libya and Syria. Originally published to great popularity in France, Sattouf’s work offers an evocative child’s-eye view of the difficulties of cultural assimilation and the confusion of living in a society in the midst of upheaval and of the struggle to understand the motivations and actions of one’s own parents. MacArthur fellowship recipient Alison Bechdel’s award-winning "Fun Home" (which has also been made into a Broadway musical!) is a complex “family tragicomic” recounting Bechdel’s efforts to understand her relationship with her father, a funeral home director and high school English teacher. His parenting style is distinctly chilly, and Bechdel must also come to terms with his death, his identity as a closeted gay man and her own coming out as a lesbian. — Melissa Fisher Isaascs is the Information Services Coordinator at Lawrence Public Library.